Happy Monday everyone! As it’s Easter this weekend, I thought it would be good to bring you a few Eatser realted features this week. 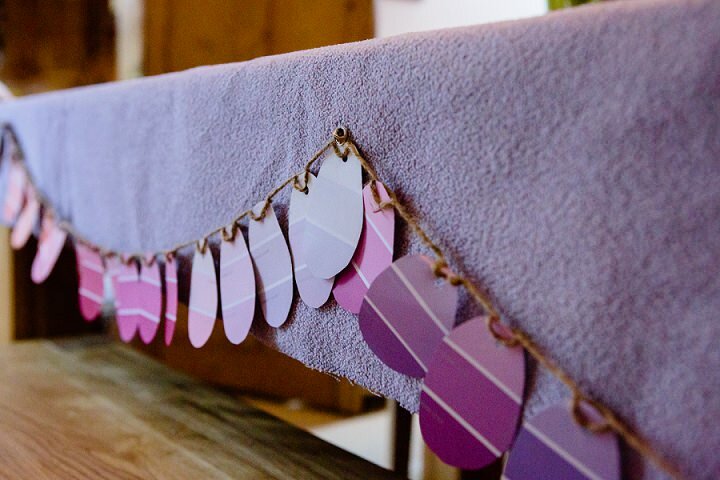 Starting off with this super cute DIY from Kate from AppleJack. 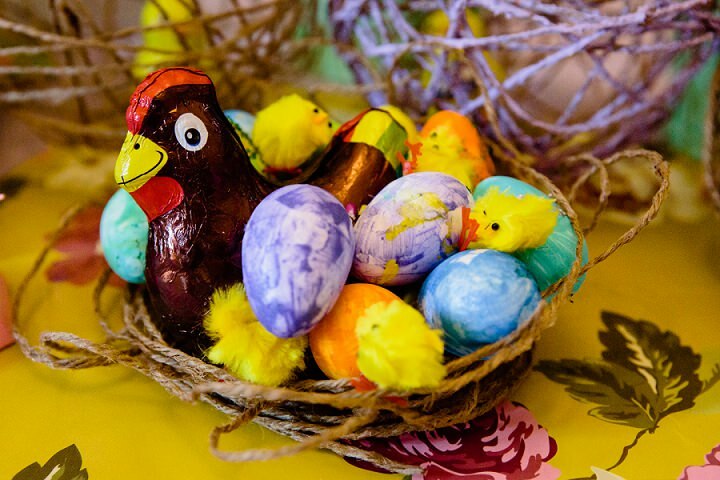 If you have children then no doubt you are currently enjoying or battling with Eatser holidays, so these super easy but fun Easter DIY projects should keep them ocuppied for a few hours and the results will give you something fun and colourful to decorate your house with this easter weekend. I’ll pass you over to Kate……. 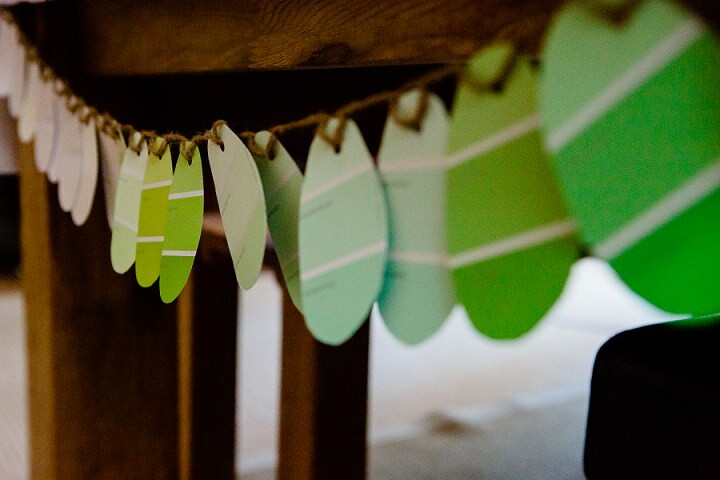 My little boy Jack and I had some real fun getting crafty last year, creating a festive table piece for our annual family gathering for Easter. 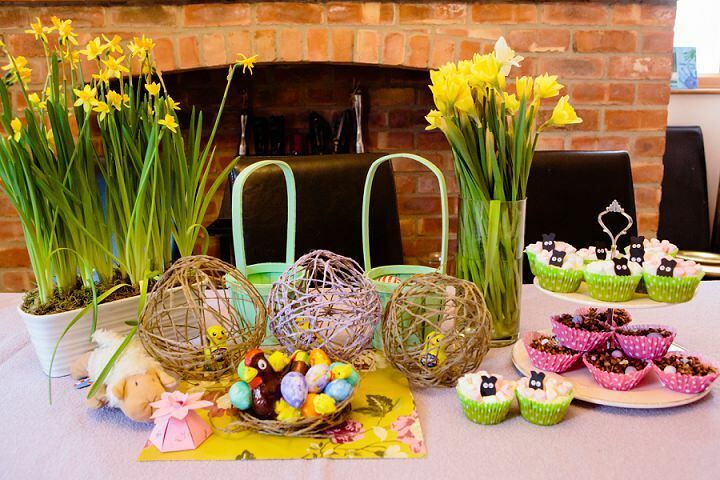 We got lots of inspiration from Pinterest over an afternoon making paper egg garlands, jute egg balls and twine nests with some Easter cupcakes (which soon got hoovered up by the kids!). It was all quite easy to do and looked great on the day. The garlands needed a little bit of preparation beforehand to cut out but it was worth it, they looked great all over the house and really effective. STEP 1) Get your hands on a few 6-colour paint-sample cards from local hardware stores, then cut them in half so you can get two eggs from each strip. Next make an oval egg-shaped stencil from tougher card to keep the eggs uniform in shape, then cut out your eggs around the stencil holding a few cards at a time to save time. Once done you can organise them in colour order flowing from one shade to another or in random order if you prefer. STEP 2) Next your little one can help to hole punch the tops of the eggs, when they are all done thread onto the jute twine. I threaded using a loop through each hole then feeding to remainder of the twine through the loop, trying to keep the spacing even. This technique means that the eggs won’t all slide together on the garland and will stay spaced apart. STEP 1) My youngest pretty much made these by himself as they were super simple and really fun to do. We half blew up 4 or 5 balloons and I mixed up some watered down pva glue. You will need to cut some metre-lengths of twine, you little one can then cover them liberally with the pva glue mixture. The glue-soaked twine was then wound around the half-inflated balloons. STEP 2) Peg the balloons up on a washing line (we set a make-shift one up in the kitchen) to dry (be careful the glue will drip). Once dry little Jack painted some of the dried twine with some emulsion tester pots we had in the garage. STEP 3) Once the glue/ paint has dried it’s time for a fun bit – let your little one pop the balloons! 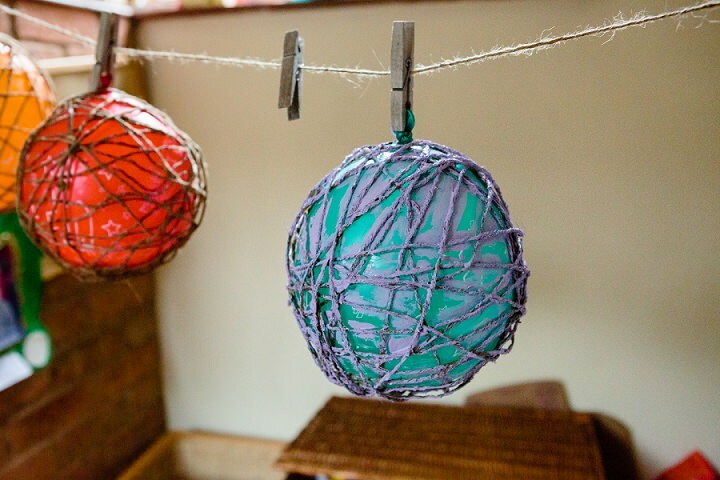 The dried twine should hold to leave a decorative egg-shaped twine ball for your table. 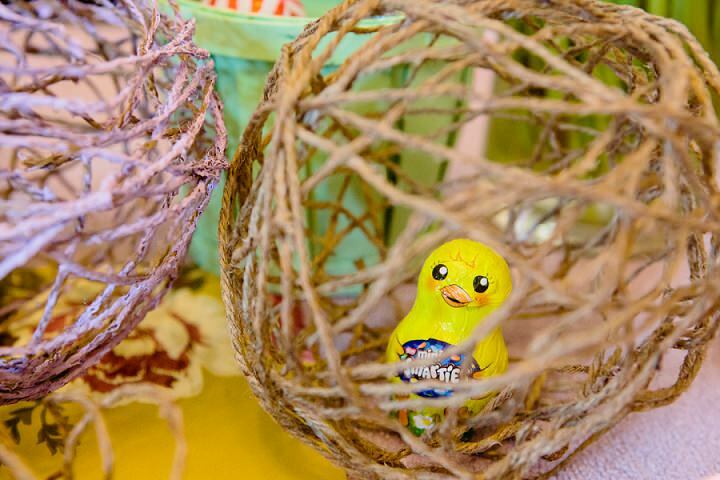 STEP 4) You can pre-fill the balloons with goodies before inflating, which we did, it was a cute surprise for Jack to find a chocolate chick or chocolate egg magically inside his twine balls, but it is fairly easy to slip goodies in afterwards if needs be. STEP 5) We used one of the balloons to make a hen’s nest by winding over only half of the balloon but placing the twine closer together. Jack painted some little decorative eggs that we picked up from a craft store to decorate the hen’s nest. 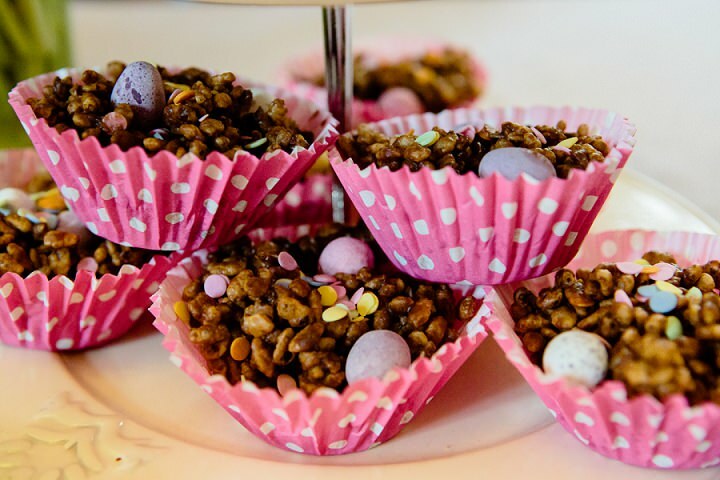 If you really want to go for sugar-overload you can make some of these super-cute Spring lamb or Chocolate nest cupcakes. 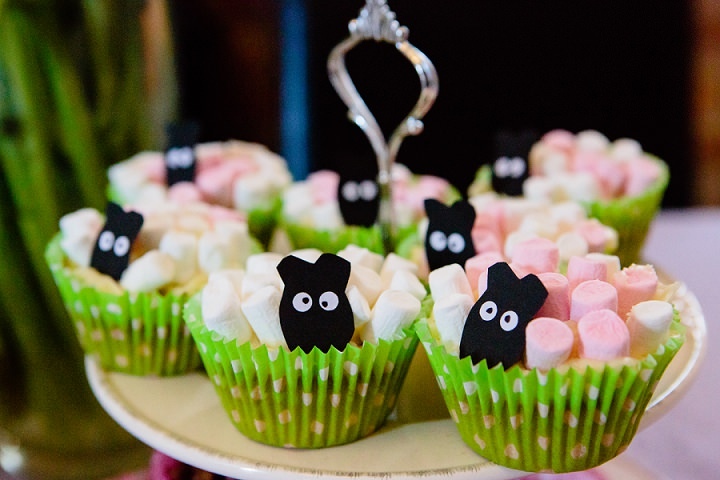 We found the recipe for the mini marshmallow Spring lamb cupcakes HERE. They were a huge hit with the kids (we used black paper for the sheep faces with hole-punched white labels for the eyes). Thanks so much kate, these look fab! I hope you all enjoy making them this weekend, wether you have little ones ro not!